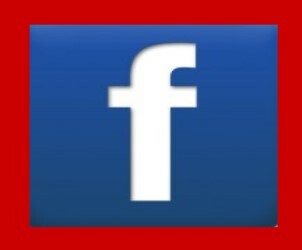 Apply For Your Membership Today! 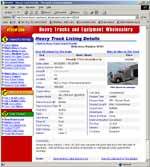 Use our search pages to find heavy & medium trucks, trailers, future trades and special needs of other dealers. 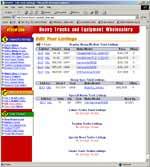 Sort our database of trucks and trailers to meet your needs. By Make, Model, Year. It's all up to you. 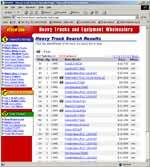 Select any truck or trailer in our database and view all the details you could ever want. Each listing contains over 36 details to help you find the equipment you need. Your account allows you to add your own listings and fully administrate every option of your account. You can edit, delete and list as many trucks or trailers as you want.